The project is spread over an area of 10.5 acre. 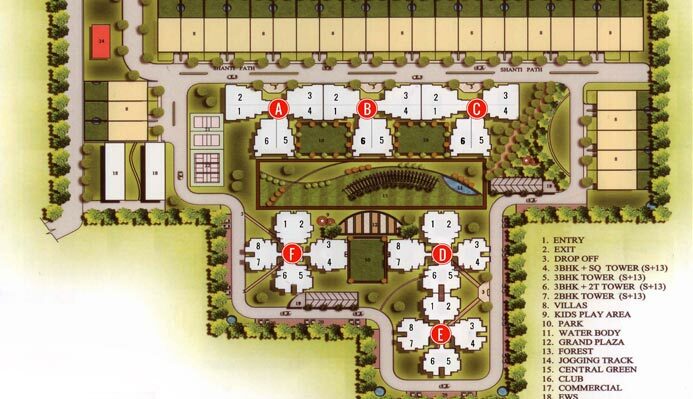 It is strategically located on Dwarka Expressway, Gurgaon. Gurgaon is an Industrial city in the Indian state of Haryana. The project is located about 3.5 km from IMT, 5 km. from K.M.P. and 4 km from National Highway 8. 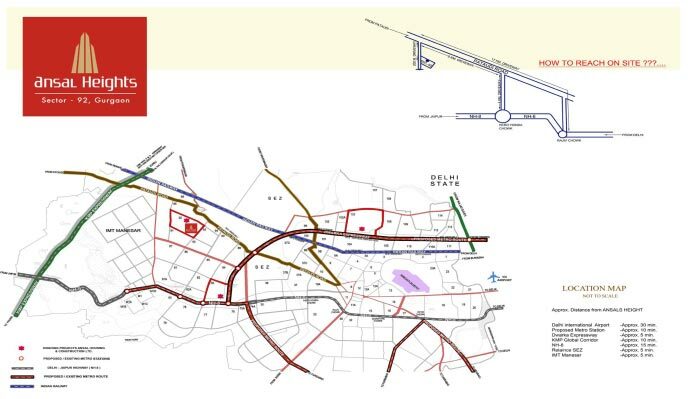 This area will be the one of the most prominent one because of the good connectivity from the National Highways and Upcoming SEZ’s. Lots of new supply of Residential and Commercial are coming in this vicinity. Ansal Housing has given a new dimension to Indian infrastructure development. The Company has developed world-class townships, residential complexes, commercial complexes, retail space, hotels and movie-halls that have set new standards in quality and architectural excellence, delivering the best to its customers, stakeholders and investors. Made up your Mind to Buy Apartments in Ansals Heights, Sector- 92, Gurgaon. Our Property Advisors are always available to assist you with all the details about the project (Location,Specifications, Amenities, Floor Plans, Price, Payment Plan, Schedule, Delivery Date, Brochure, Additional Charges, Application Form, Reviews etc.) and help you identify a Property of your choice. Now you are just a few steps away from owning your dream property. Fill in all the relevant details in the Enquiry Form and send the same to us. Our Property Experts will get in touch with you earliest. It's our mission is to design, build and market residential and commercial complexes of international quality. We, at Ansal Housing, wish to leave no stone unturned to fulfill the dreams of our customers in India & Overseas. Be it residence, recreation, office or shopping, we want to be present in every sphere of your life, enriching the way you live. We are committed to achieving new landmarks in property development - not only in India but across the globe. We see a tomorrow where the world will see us as the most trusted and reputed company in the real estate business in India and overseas.